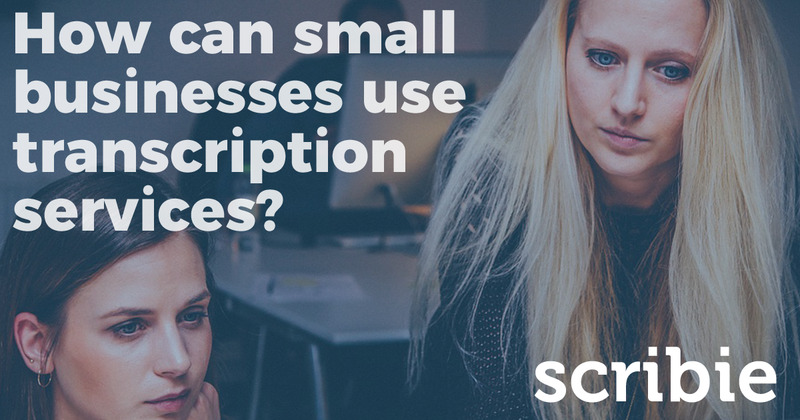 How can a small business use transcription services? Times are changing… As you’ve noticed, the world is becoming more digital. This is especially apparent in the business world. Instead of software, now a lot of the biggest applications are accessed through websites. This can be daunting for a business owner who isn’t constantly keeping up with the times. Don’t worry — with the right information, it’s easier than you think to level the playing field. Today we’re going to help you uncover a cost-effective way to utilize transcription services… to save time and money. Raise your hand if you’ve heard the term “inbound marketing” and “content marketing” before… Everyone? Now, your first reaction to these topics was probably a big sigh of annoyance. “Do we REALLY need to start producing free stuff for our website viewers… clients… and prospective customers?” But after some reading and catching up, you’ve probably jumped on the bandwagon. Assuming you’re already producing some kind of video content (like for YouTube, sales videos, even product demos and walkthroughs) or audio content (like a podcast, music, or voice recordings of calls/meetings)… there’s an AWESOME way to get more exposure. That’s right — instead of adding more to your “to-do” list, we’re going to explain how you can multiply your current efforts. Just like we mentioned in one of our last articles, there are huge benefits to getting transcription done for your content. Sales Videos — If your killer explainer/sales video contains a better or different message than the rest of your website—most of your viewers are missing out! At the very least, allow viewers who don’t have access to headphones the option of following along with the text transcript, while watching the video. Meetings, Demos, Walkthroughs — Here’s another killer way to get multiple uses out of one piece of content. Try putting up some recordings of your customer support people (or sales/marketing) speaking with your current clients. It’s a great way to get your brand message across and give people an inside look into the backend of your business. Better yet: Just record some meetings, get them transcribed and with ten minutes of editing (or less) you’ve got a GREAT new blog post. Multipurpose your content — Like the method, we mentioned above… transcription offers an effortless way to generate more content for your website. Every video you produce can now be repurposed as a blog post, email newsletter, or social media piece. One of the biggest benefits of our transcription service is the “hands-off” operation. As a time-deprived businessman (or businesswoman) you really don’t want more stuff to do. That’s why you should send over your relevant audio content and have us take care of the transcription. Better quality transcription — more time saved — more money saved… the triple trifecta of benefit. Hopefully, this article helped you understand the massive potential for transcription-related content, for small to medium businesses. Multiply the reach and exposure of your audio and video content… if you do it right, one 10-minute voice recording could become the source of multiple blogs, newsletters or social media posts. Business Podcasting: Are Transcriptions REALLY Worth It? Thanks a lot…excellent article. Well explained.